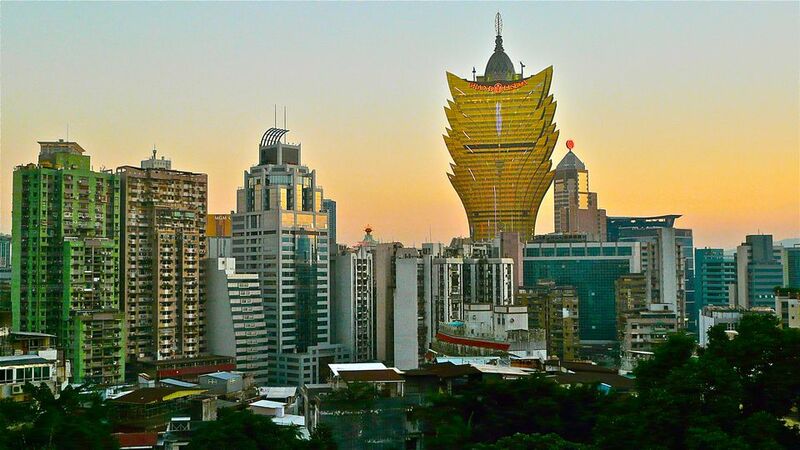 Macau's weather is famous for its unpredictability, and rain can turn to the sun in a matter of seconds. The city also hosts some of the world's more extreme weather. In no particular order, Macau weather warnings can be issued for; black rain, direct-hit typhoons, extreme heat, thunderstorms, and landslides. But don't be put off, the city is also blessed with gallons of sunshine for most of the year. Despite having a sub-tropical climate, the city does have four distinct seasons. Find out what to expect in each season. Fall (September - Mid-December), is firmly the best time to land in Macau. During fall the humidity is low, while temperatures are warming and skies are bright. Autumn is the best time for outdoor activities, and to stroll around and enjoy the city's Portuguese architecture. Fall weather in Macau is also the most predictable with sudden changes in the weather unlikely. It's a great time to hit Macau's beaches. T-Shirt and shorts weather for most of the season, although you're advised to bring a sweater for evenings towards the end of the fall. The average temperature during fall is 24 C or 75 F. Rainfall is very light with a few rainy days, towards the end of the year, totaling about 20-30mm. Winter weather in Macau (Mid-December - February) is noticeably cooler than the city's other seasons, but nevertheless mild. Snow is unheard of in Macau and frost occurs only once or twice a year. Crisp days, with little rain, do make winter a viable time to visit Macau. Seemingly, the locals don't notice that it isn't really wintering outside, and will wrap themselves up like polar bears regardless. Sweaters will be needed for most days and a light jacket or coat for evenings. Despite the locals, gloves and scarves are only necessary for those particularly susceptible to the cold. Temperatures never plummet to the bone-chilling and you can expect 17 C or 63 F. Rainfall is reasonably uncommon in winter, averaging 30-40mm. Like an unwanted hitchhiker; accompanying spring's warmer weather is a raft of rain and showers. 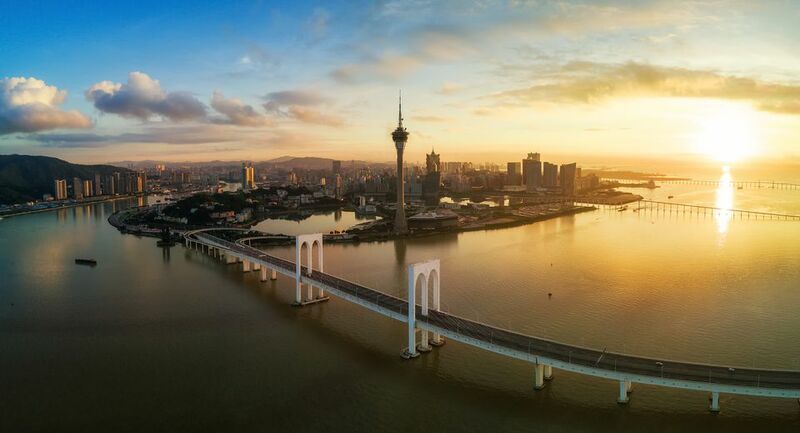 Spring weather in Macau (March - May), can bring wonderfully warm days with clear blue skies, or it can bring apocalyptic downfalls and black rainstorm warnings. Try and check the weather ahead of time, where possible, to find a clear patch if you're thinking of hitting Macau in spring. Goggles and a snorkel might be the best advice - but seriously, some effective waterproofs are a must, as well as shorts and t-shirts for warmer days and sweaters for evenings. Temperatures rocket through the spring, starting at around 20 C (68 F) until they hit the 30s (86) towards summer. Rainfall is equally spectacular, with an average of 90-120mm through the season. Macau weather in summer (June - August) can seem like swimming through soup. The sun beats down, the air is laced with humidity and shirts become tissues to stop sweat. Locals walking around in the heat during lunchtimes look like they have just completed a marathon. Added to this misery is the constant threat of summer showers, thunderstorms, and Hong Kong typhoons. Summer weather in Macau is best avoided, unless absolutely necessary. You can of course retreat to the air-conditioned safety of a Macau casino. T-Shirts and shorts, although those who easily burn in the sun may want to consider long sleeves, and if not very high factor sun cream. Raincoats are useless, as the sun will melt you and it like a candle - pick up an umbrella in town.